There is something about fall that makes me just want to buy every leather jacket!!! 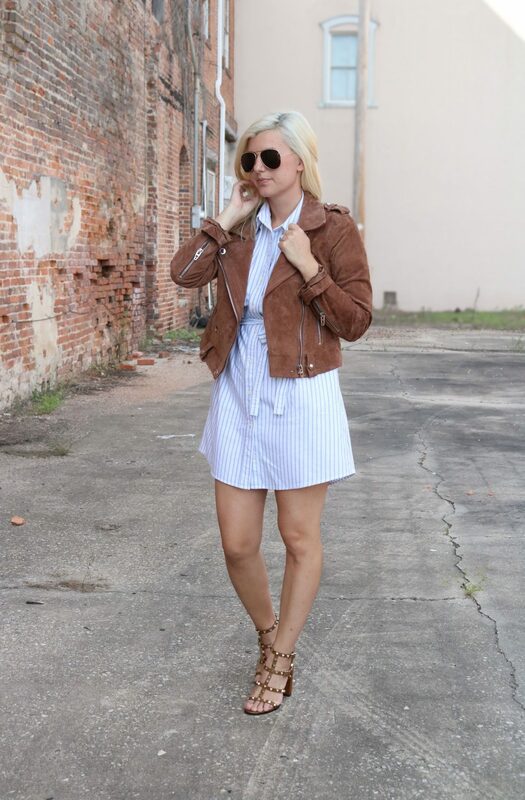 My newest obsession for fall in the south are shirt dresses. They are the perfect transition piece when it is still 90 degrees outside and all you want to do is wear fall clothing and layers. I had quite a few people ask where this dress was from after I posted a small teaser on Instagram and everyone was surprised that it was from Abercrombie. I have found some really cute fall items from them in the past month and they always have an amazing sale going on. Ha! So true @ perfect fall transitional piece but it’s hot as hell! I’m like ‘come on’ cool weather! 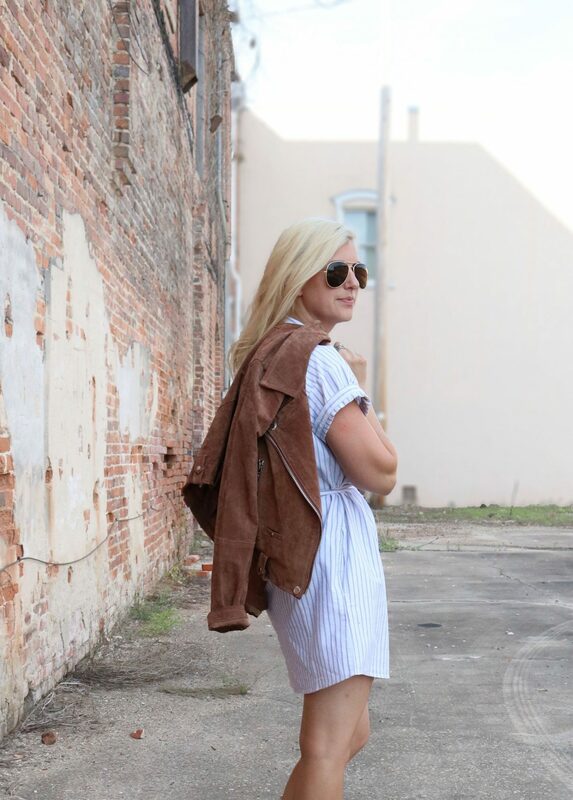 Leather and suede jackets are my favorite things about fall. Your is really lovely dear. Cute dress as well. Soo obsessed with that jacket! I love how you styled it, you look amazing!